The Invisible Arab traces the roots of the revolutions in the Arab world. Marwan Bishara, chief policy analyst of Al Jazeera English, combines on-the-ground reporting, extensive research and scholarship, and political commentary in this book on the complex influences that made the revolutions possible. Reviewed by Rory Creedon. 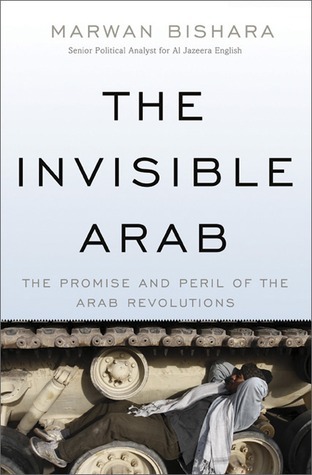 The Invisible Arab: The Promise and Peril of the Arab Revolutions. Marwan Bishara. Nation Books. February 2012. The Invisible Arab is a small book that pulls a lot of punches. In it Marwan Bishara is providing a much needed antidote to Western interpretations of the Arab Spring that place too much emphasis on the role of social media, and tend to fret about the possibility of Islamism largely based on a misunderstanding of the Muslim world. Bishara is optimistic and continues to see real promise in the revolutions that have swept the Arab world whilst recognising that the movements are vulnerable to the perils of fundamentalism, Western meddling, and regional power politics. This message is delivered in a thoughtful and wide ranging essay replete with fascinating insider knowledge that Bishara has no doubt acquired as a product of his work for Al Jazeera, where he is the Senior Political Analyst. Bishara’s passion for the subject rings clear through the seductively journalistic tone of the essay, although at times he is prone to become rather argumentative which erodes the force of some of his contentions. A lot of ground is covered and whilst everything is wonderfully illustrated there is a slight lack of focus such that it is not especially clear what the central thesis of the work is. Nevertheless, there is never a dull moment and Bishara presents some genuinely novel analysis that will be pleasing to anyone who feels they have not quite been allowed to access the full story by our national media. Arab autocratic governance was introduced in no small part due to Western intervention in the immediate aftermath of independence from colonial rule. This set in motion a grand state system based upon the misuse of political power that Bishara argues underlies the problems faced by the Arab world today. Ruthless militaries and callous dictators oversaw a ruralisation of civic and political life that has left a trail of underdevelopment, poverty and fear throughout the region. Yet in their oppressive rapacity, these rulers were in fact sowing the seeds of change as the regimes created a vast, angry, and listless unemployed youth. It was this cross-sectional non-ideological youth that was the key player in a struggle that began life as an attempt to get access to basic rights, and morphed into calls for democratic change. Critically for Bishara, these movements were not instantaneous. The picture painted by many Western media outlets was of a youth movement that was created spontaneously through social media applications. He goes to great length to show how labour unions, religious groups, women’s groups and social organisers were all active in the pre-revolutionary era, and it was these people who were instrumental to the movements gaining traction. In other words, because the social infrastructure for challenging the regimes already existed in part, the flashpoints for calls for change in Tunisia and Egypt were able to be capitalized upon by expert organisers assisted with, but not driven by Facebook and twitter. Bishara details how the protests came about and how they were reacted to, identifying the key players in Egypt, Tunisia and beyond to Libya and the Arabian Peninsula. In the successful post-revolutionary countries there remains a lot to be done. In this time there is a very real danger that revolutions could be hijacked by the military or by fundamentalists. A conversation needs to be had in particular about what role Islam is to play in society. Whilst the West seems fairly hysterical when it comes to the idea of political Islam and Sharia law in particular, Bishara is surely right to suggest that some element of Islam in the state is fairly natural when populations are overwhelmingly practicing Muslims. What is key for Bishara is that an inviolable system of democratic governance is installed such that the state cannot be overtaken by personality or religion. In this way the people of the Arab nations will be free to choose their way of life be it based on Islamic or secular principles. Toward the end of the book, Bishara writes that a new Arab identity has been forged in recent years. The populations of the Arab world no longer live in isolation, they are more unified he claims, because of the advent of satellite TV networks that bring information that they would otherwise not receive from the state owned media networks. A wide range of views are now presented, from the ultra-orthodox to the socially liberal, and it is this “virtual pluralism” that has reached the invisible Arab, and shown him to be a political being. Bishara’s analysis is thoughtful and detailed. Yet it feels as though the bulk of the essay is taken up with fairly standard, although richly descriptive, explanations of the origins of the movements. Given that he is arguing that the potential revolutionary infrastructure had been in place for years, it is natural to ask why the revolutions occurred when they did. Bishara does not have a convincing answer to this. Whilst asides into, amongst other things, Western foreign policies are thought-provoking, they unfortunately serve to clutter the text. The most stimulating and creative part of the analysis (as well as the motivation for the book) is the chapter that deals the forging of a new Arab identity in the presence of satellite. There could potentially be enough material there for a separate thesis, and yet it feels like an aside in a historical narrative. It deserves more attention as the razor sharp mind of Bishara, which nevertheless is pervasive throughout the entire text, seems most focussed and able to bring something new to an understanding of the Arab consciousness. Rory Creedon graduated from King’s College London with a degree in law. He then moved into investment banking where he worked raising capital for companies listed on the London Stock Exchange. In 2009 he moved to Mexico to learn Spanish and spent three months visiting the remaining Indian peoples deep inside the BOSAWAS rainforest of Nicaragua before returning to London to enrol in the MPA programme at the LSE. He is particularly interested in trade issues, particularly market access for developing world products. Read reviews by Rory.